My Work Is My Introduction...!!! I offer web design, web development, CMS development services. I also work as a PHP/Mobile application developer, database developer and a project...Read moreMy Work Is My Introduction...!!! I offer web design, web development, CMS development services. 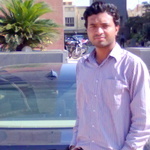 I also work as a PHP/Mobile application developer, database developer and a project manager. excellent work, easy to work with and delivered very quickly. highly recommended. Great developer. Delivered me the project as outlined in my doc requirement. I will hire again for future projects. Perfect! Great value for money. Highly recommended and great communication. The best. It always produces more than you ask. DG was patient and helped me deliver what I needed cost-effectively. He could improve his performance and rating by providing more documentation on how to maintain the site. I have already explained all the things via call.and also send you step by step information for how to do perticular thing.if you have asked me to provide document than i would be happy to provide that. DG is doing a good job ... full review on completion of this work. I gave the project to dhruv and I needed this complete by new year and he delivered on time which was fantastic, everything was perfect and everything went smoothly. I would highly recommend using his services, I definitely will be using it again.